Free books? Local charity? Sign me up please. I learned about Concord Free Press via the fine folks over at The Estella Society. What is the Concord Free Press? We publish books and give them away for free—online and via a network of independent bookstores. In exchange, we ask readers to make a voluntary donation to a local charity or someone in need in their community. And we ask them to pass the book on, so that every time the book changes hands, it generates more contributions. It’s an experiment in publishing and community. We’re interested in expanding the definition of publishing and re-invigorating the book. Books aren’t dead yet. hehe! 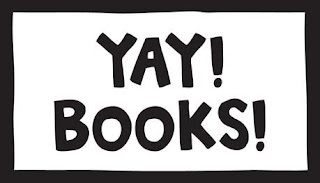 i love the yay books pic! and yes, this is an awesome resource!! hooray for freebies!